Bhanvi Ahuja of Grade-I, MRIS-21C Faridabad made school and parents proud by securing International Rank 1 in National Cyber Olympiad. Her dedication and hard work is commendable and we wish her luck for her future. 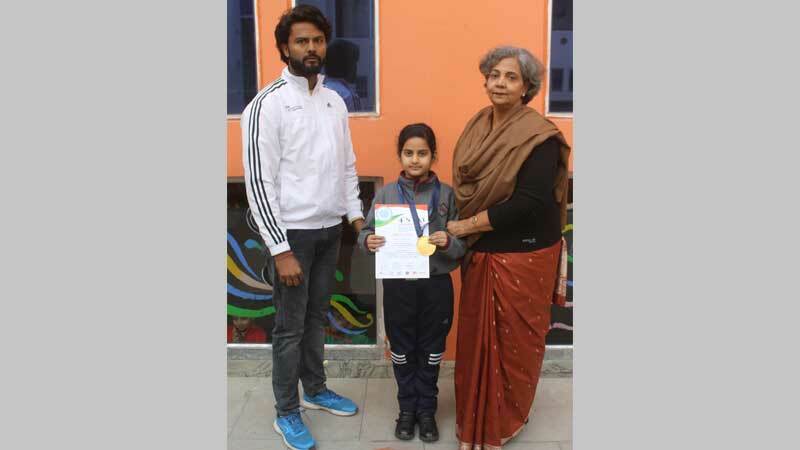 Adya Vashista of MRIS-21C Faridabad won the bronze medal in National Kickboxing Tournament held at Maharana Pratap Sports College, Dehradun recently. Kudos to the young champion! 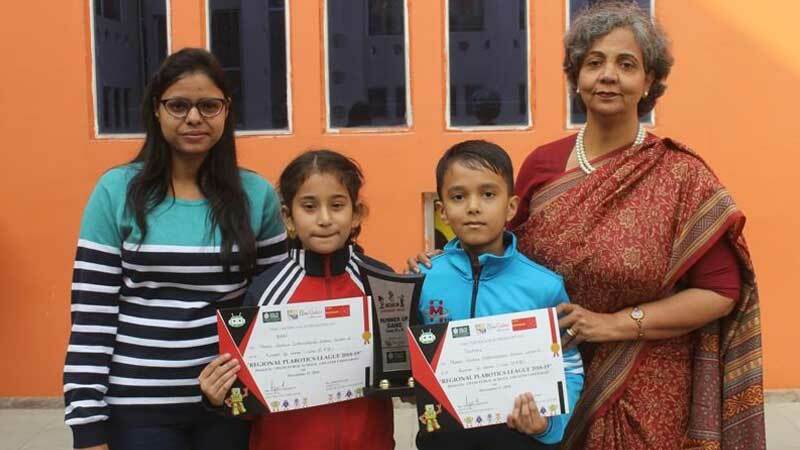 Vyom Sehgal of Grade-V and Saransh Gupta of Grade-III appeared in SIP Abacus held at Noida and brought laurels by winning trophy for “Champion” and “Star” respectively attaining first and second position. They were awarded Trophy and Medals. We congratulate them and their parents and teachers. Chirag Jain of Grade VI made Parents and School proud by winning First position in Cadet Boys Team in 52nd Haryana State and Inter District Table Tennis Championship 2018 at Bright Scholars School, Sonepat organized by Haryana Table Tennis Association Faridabad recently. We congratulate Chirag, his parents and teachers on the achievement. 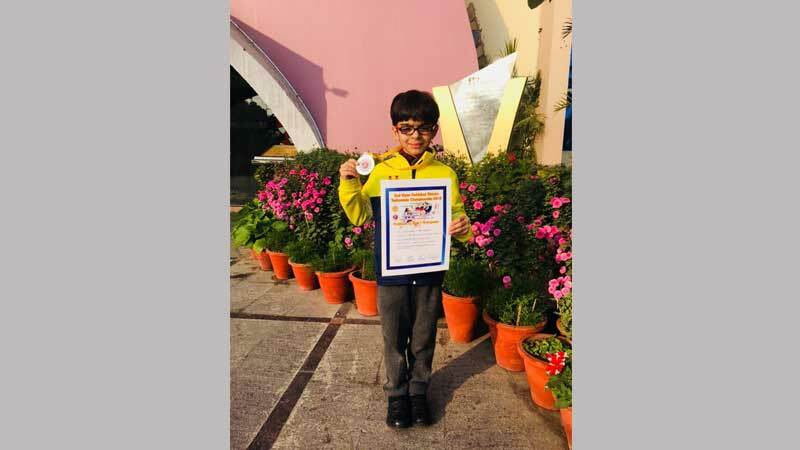 Divyansh Juneja of MRIS-21C, Faridabad has made the school and parents proud by winning Bronze Medal in State RollBall Championship-2018 organized by Haryana Roll Ball Association at D.A.V. School, Madhuban, Karnal recently. We applaud his hard work and perseverance. 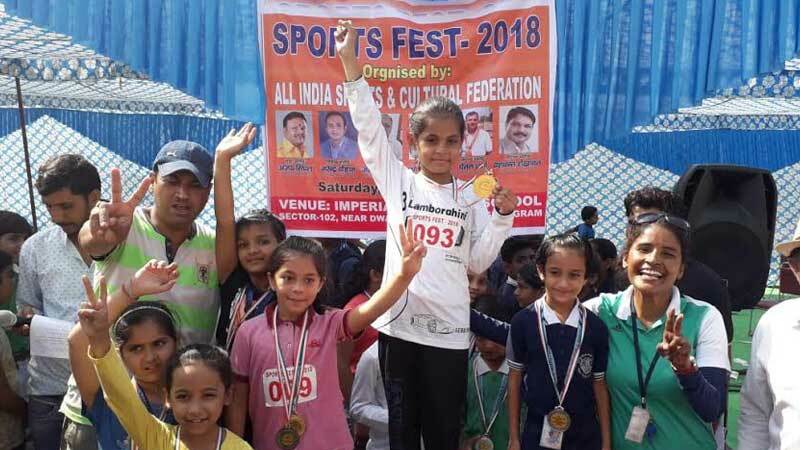 Students Sahiba Taneja and Sai Baisoya of MRIS-21C, Faridabad made parents and school proud by winning Silver Medal in Lawn Tennis (Team event) at the School Games Federation of India (SGFI). The efficient team of MRIS-21C girls beat DPS Sector-19, Faridabad. Kudos to our young champions! 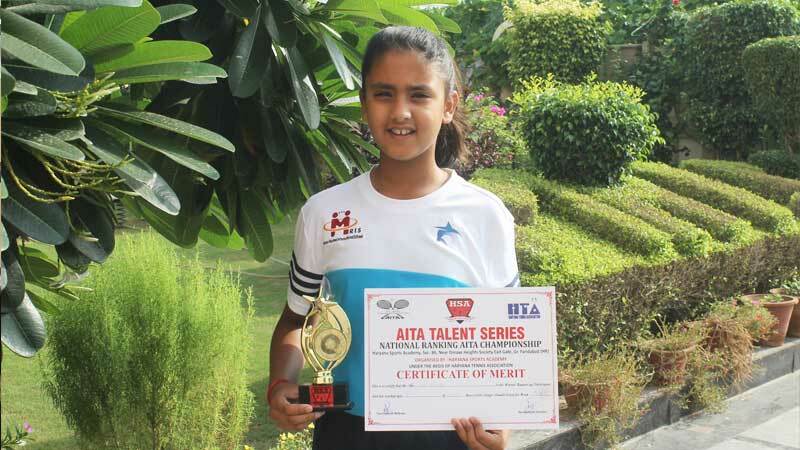 Hiranya Thapar of Grade-V, MRIS-21C made parents and school proud by proving her mettle by winning bronze Medal at 4th Sub Junior (U-14) State Roll Ball Championship-2018 (Boys and Girls) on 15th and 16th August, 2018. The Championship was organized by Roll Ball Association, Haryana. We applaud her achievement. 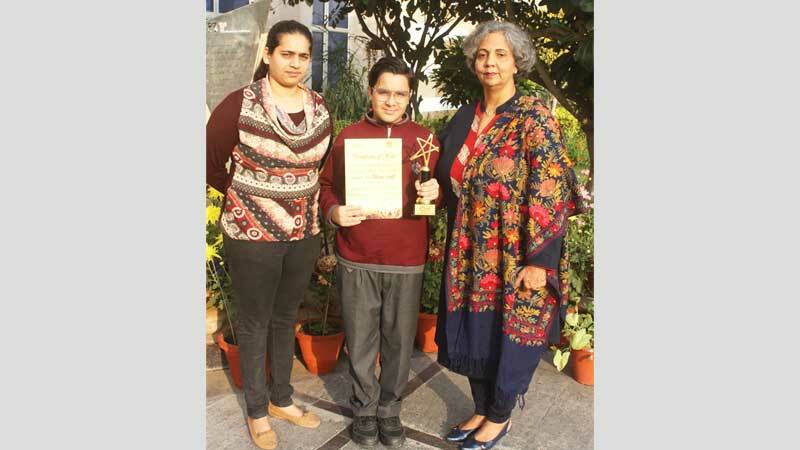 Chirag Jain of Grade VI, MRIS-21C, Faridabad made his parents and school proud by winning second position in District Table Tennis Championship -2018 at Homerton Grammar School organized by District Table Tennis Association Faridabad recently. 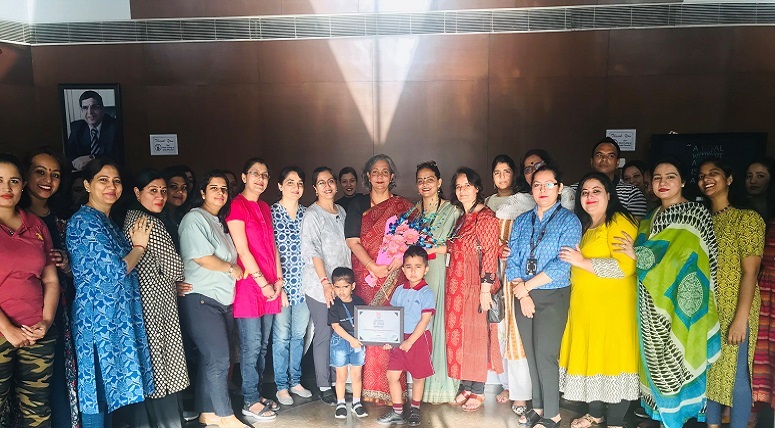 We congratulate Chirag and his parents and teachers on the achievement. 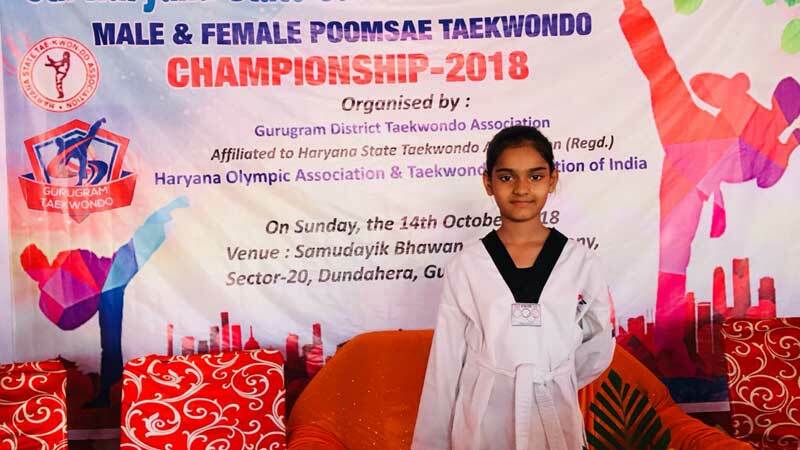 Bhavya Malhan and Sanvi Verma won Bronze Medal in weight categories- 24-26kg and 32-35 kg respectively in 30th Haryana State Sub-Junior Boys & Girls Taekwondo Championship-2018 organised by Ambala District Taekwondo Association under the aegis of Haryana State Taekwondo Association recently. Congratulations to both the champions! 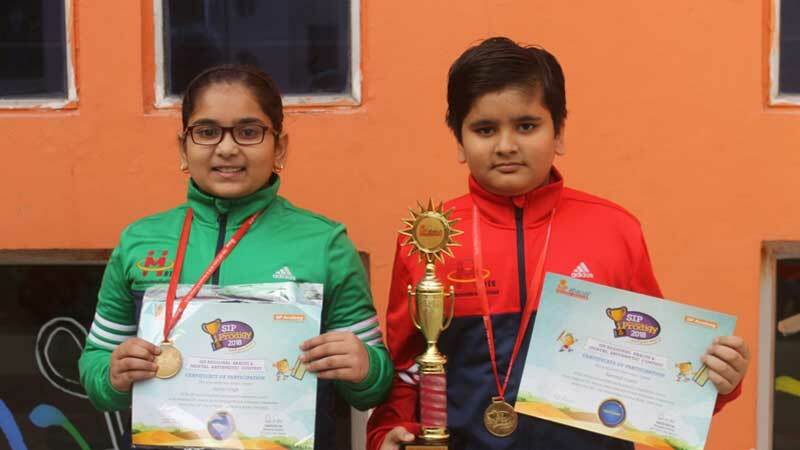 Jashan Oberoi and Pulkita Sharma & Anoushka Raina won II and III position respectively in the recently conducted 31st Beginners’ Roller Skating Meet 2018 held at Sports Complex, Sector 12, Faridabad on June 27. We applaud their efforts and wish them luck for their future. Kabier, a student of Grade –II participated in Junior Fashion Week held at Hotel Pullman, New Delhi recently. He walked the ramp for the clothing brand U.S. POLO ASSN. (KIDS) showcasing great confidence, style and attitude. We applaud his achievement and wish him luck for the future. 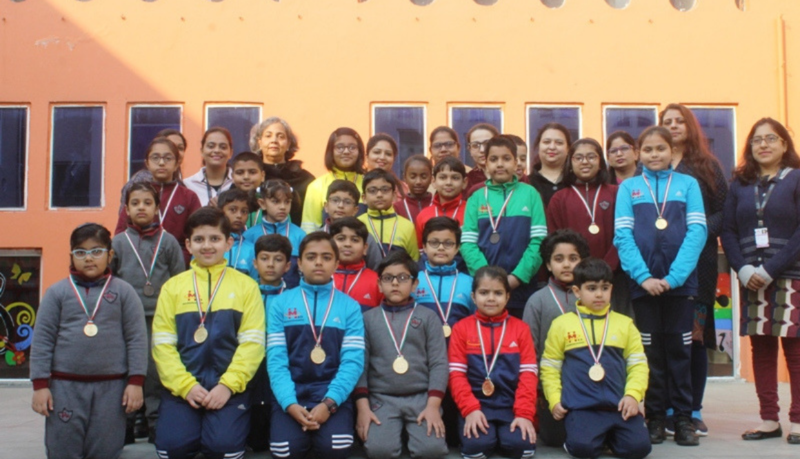 Students of Manav Rachna International School, Sec-21C, Faridabad made their mark in National Cyber Olympiad during session 2017-18. Kabier Verma, Twisha Arora, Soham Garg, Moksha Sharma and Vivekanand Jha won Medals of distinction. 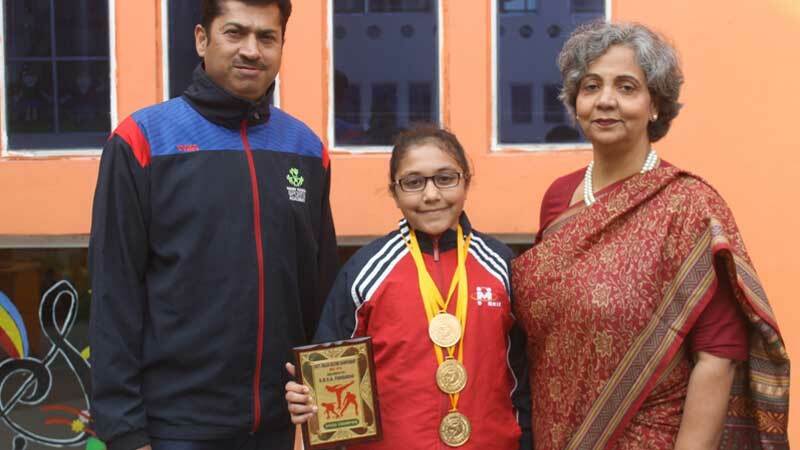 Students have bagged 5 Gold Medals, 3 Silver Medals and 3 Bronze Medals. We applaud their hard work and efforts. 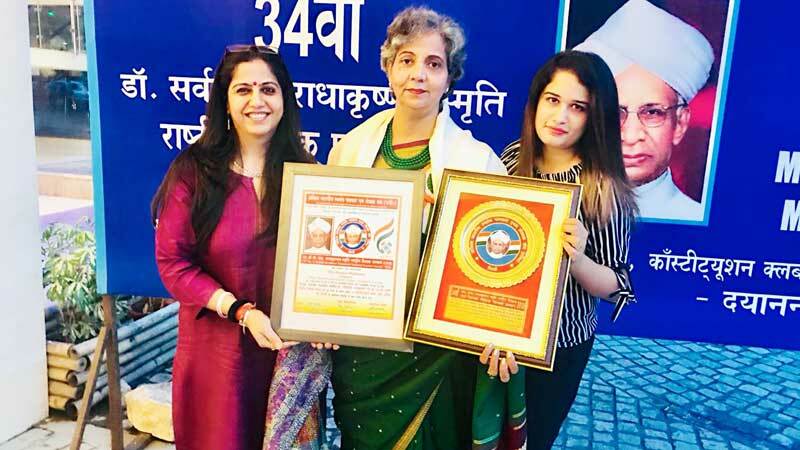 Bhramleen Kaur of Grade-IV, Manav Rachna International School, Sec-21, Fbd made her mark by winning Gold Medal in District Level Inter School Drawing and Painting Competition organized recently by the Rashtriya Vidyarthi Seva Sangh. 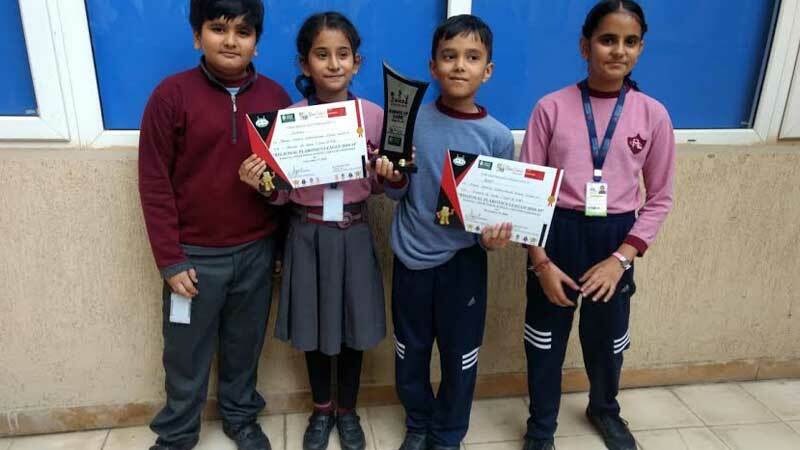 MRIS -21C,Faridabad students again proved their mettle at an Inter School Competition held at Apeejay School, Faridabad. Pranshi Sachdeva and Prayan Saikia of Grade-I won first prize in “Glue the View”. Swastik Anand and Parth Bhalla Grade-II won First Prize in “Fun with Origami”. We applaud their efforts.